A nationally recognized expert in organizational CHANGE, Jacob helps high performing teams tackle today's challenges for tomorrow's edge. Jacob Green is a nationally recognized expert in organizational change and teaches audiences how to leverage personal and professional adversity to build leadership authenticity, enhance workplace culture, increase employee engagement, and reconnect with the purpose behind their chosen profession. After interrupting an attempted robbery in college, Jacob was seriously injured and sustained serious injuries and numerous medical complications. After over two years of full time rehabilitation, he went on to earn a Bachelors and Masters degree, and currently serves as a top executive in a multi-million dollar organization. His personal story and the stories of many others who have overcame seemingly impossible challenges form the basis for his toolbox presented to audiences throughout the country. Jacob delivers keynote speeches, facilitated workshops, and employee coaching sessions with an emphasis on actionable content that leave attendees with the strategies to face and overcome personal and professional challenges and create competitive advantage. Jacob has worked with organizations from many different sectors including companies like FedEx, Mattel, Scripps Hospital, the University of St. Augustine, and the Heart of America Foundation. 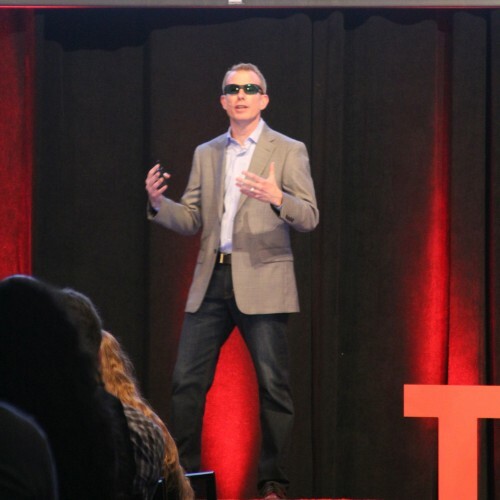 Jacob's TEDx talk given in 2016 entitled "Why sunglasses help me work...and how I got myself to wear them" highlighted Jacob's journey and the many techniques he used to reach personal and professional success. Find out more about Jacob Green at http://www.jacobgreen.com/.